Posted on May 6, 2014 by MusicTECH	Posted in Ask MusicTECH! 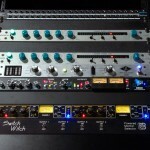 Posted on April 30, 2012 by MusicTECH	Posted in Ask MusicTECH! What’s a Leveling Amp ???? Posted on February 5, 2007 by MusicTECH	Posted in Ask MusicTECH! Posted on September 22, 2005 by MusicTECH	Posted in Ask MusicTECH!